Home » blog » Legal Advice » Overstay Visa South Africa – Must I leave? Overstay Visa South Africa – Must I leave? So you’re in South Africa a bit longer than you said you would be, due to some or other reason. Do you have to leave or can you extend your stay from inside the country? We take you through all your options below. Can I apply for a new visa or permit from within South Africa? 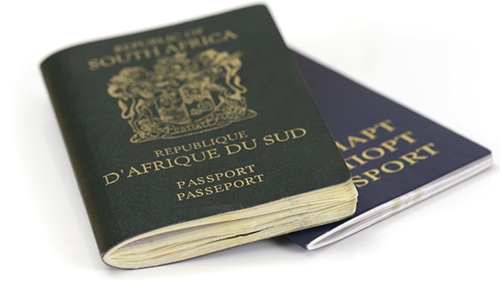 A question often posed by our clients is “Can I apply for a new visa or permit from within South Africa?”. For the most part, the answer to this question is “Yes” – although this is rarely possible if the foreigner in question is currently on a visitor’s or medical visa and intends to change over to a new type of visa. The answer to the above question, however, becomes a resounding “No” in instances where a foreigner does not currently hold a valid visa for one reason or another. Individuals who overstayed their visa in South Africa fall within this category. A foreigner who attempts to submit an application for a new visa from within South Africa, where his/her previous visa has expired, will be met with a swift and merciless letter of rejection from the Department of Home Affairs. Prior to submission of a visa application, a foreigner may make application to the Department of Home Affairs requesting authorisation to submit the visa application from within South Africa. This option is only available to foreigners who can prove that they did not submit an application prior to the expiry of their previous visa for reasons beyond their control. This avenue is not available to the majority of foreigners and the only option left open to these persons is to return to their country of origin and submit a fresh application. Naturally, these foreigners will be declared undesirable and banned upon departing South Africa as a result of having overstayed their visa. It follows that a foreigner will not be able to submit a new visa application in his/her country of origin until the ban and undesirable status are overturned. For more information on how to overturn a declaration of undesirability and rectify and overstayed visa in South Africa, be sure to contact our offices. Posted in blog, Legal Advice, Live In SA and tagged overstay, overstay appeal, overstay south africa, visa. My study visa expired on 31 October 2018. I had applied for an extension through vfs on 30 August but till now have not received any reply from them. And I really need to go back to my home country. As my resident accommodation contract is finishing on the 30th November. School is also closing down on the 30th. All my friends have left. I have my receipt of vfs. Which proves I applied for extension 60 days prior to expiration of my visa. If I leave the country will I be banned ? hi my wife relatives visa is going to expire on the 27th!of november2018 .we have already applied for the renewal through VFS on the 16th of october 2018 .it has been 7weeks now! and still nothing.I i am deeply concern now as the time is now running out! must she just wait in the country or or what should we do? please advise. My visa is going to expire on the 15th of this month, yet the earliest appointment day available with VFS is the 1st October. Is there any solution to avoid being banned ? I have applied for a work permit extension, my current 2 years Visa (Work permit) is expiring in two days. Am I allowed to overstay in SA until I get the result for my extension? And am I allowed to work during this period. What happens if I am inspected by a official during a commute to work or just hanging out with friends. Please advise, my son is 14 his study visa has expired, he has applied for a renewal however we have been told that there is a delay by Home Affairs and that he will not receive this until August. My son must fly out of South Africa to visit his father in the UK at the end of June for 3 weeks. I am terribly worried if he will face problems when trying to return to South Africa. Please advise, what can I do to ensure he is not refused entry when he comes home. He resides with me in South Africa and has been for 6 years, he is in full time education and I am on a work permit at the moment, I am married to a South African also. Please help. Hi. I have overstayed my visitor’s visa permit for a week. I was at the VFS office before the expiry but they gave wrong information. I was told to make sure I payed before the expiry date. I quickly applied for an extension at the VFS office but they found a document invalid and told me to make a fresh application which i did only that the closest date of interview and submission was a few days after the expiry of the current visa and i was advised to visit home affairs. Thank you for contacting us. Please email matt@lr-inc.co.za with the details of your overstay and your contact details and he will get back to you with answers to your questions. Hi. I overstay in South Africa 11 December 2015, and my fine is over , so what must I do to ban it because I want to go to South Africa and how long is it gonna ta to cancel it. Am I suppose to pay for banning it? How much and how long did it takes? We would highly recommend that you do not overstay your current visa, if you travel out of SA with an expired visa you can receive a ban for a period of up to five years. Although you have applied for the extension, if you do not get a response before your current visa expires, you will need to leave the country. For further assistance please email immigration@lr-inc.co.za. I applied an extention of my tourist visa a week after my arrival and still waiting for the result. My original visa expires soon and i need to leave a couple weeks after the current visa expires. Can i leave the country without knowing the result? Thank you for contacting us. Unfortunately, when you leave the country you will be issued a ban. This ban can then be overturned if you appeal the matter by stating your reason for overstaying. If you would like further assistance with this please email an outline of your situation and your reason for overstaying your visa to matt@lr-inc.co.za. If I overstay my visa for 4 days for something beyond my control what will I have to do ? Unfortunately, the penalties can be either a minimum of a 5 year ban or being prohibited entry into South Africa indefinitely. This would be at the discretion of the immigration official that interviews you upon your voluntary exit from South Africa, and would be dependant on the reason provided for overstaying the visa. If you would like more information please email immigration@lr-inc.co.za. i overstayed in RSA for 4 yrs and wish to go back home pls wat is the penalty?